Bots are everywhere. Tech journals and TV segments are overflowing with them. But bots have been around for a very long time. Microsoft’s relentlessly chirpy paperclip assistant “Clippy” seems to have morphed into the PR train wreck of Tay. So why are bots so hot right now? The global titans of social technology are bullish about a brave new Artificial Intelligence (AI)-powered world of enhanced apps. Last month Microsoft CEO Satya Nadella proclaimed that “bots are the new apps” during the company’s Build developers conference. “People-to-people conversations, people-to-digital assistants, people-to-bots, and even digital assistants-to-bots. That’s the world you’re going to get to see in the years to come.” Microsoft is already offering bots within Skype to help you book flights and hotels, and has launched a bot-building suite of developer tools. Facebook’s Messenger will offer different chat bots to check the weather or help you make purchases, as they introduced this month with a handful of partners including Shopify, an ecommerce site, and cable TV news network CNN. “You’ll never have to call 1-800-Flowers again,” Facebook CEO Mark Zuckerberg declared during the company’s recent developers conference in San Francisco. Messaging apps like Kik, Telegram and WeChat are already offering this type of chat bot functionality, while collaborative messaging platform Slack permits helpful third-party chat bots for tasks such as ordering lunch or supplies. The ulterior benefit of offering these chat bots via apps such as Skype and Facebook Messenger is of course user data. Once the chat bot understands the type of new stories you like on CNN, or indeed when you order flowers for loved ones, it can optimize your news feed and schedule shopping offers. There is a longer-term push to completely replace apps with chat bots in order to establish mobile ecosystems which the tech giants can control and monetize in a direct relationship with the consumer, thus bypassing the app store completely. Businesses have realized that it takes a lot to persuade a consumer to download an app. In fact, the average number of apps installed by the average American per month is zero, according to Comscore. The chances of your brand’s app actually gaining traction are slim to none, in fact only 16 percent of people will try out an installed app more than twice. But brands want to connect with consumers in a highly personalized way, and consumers want to connect with their favorite brands. 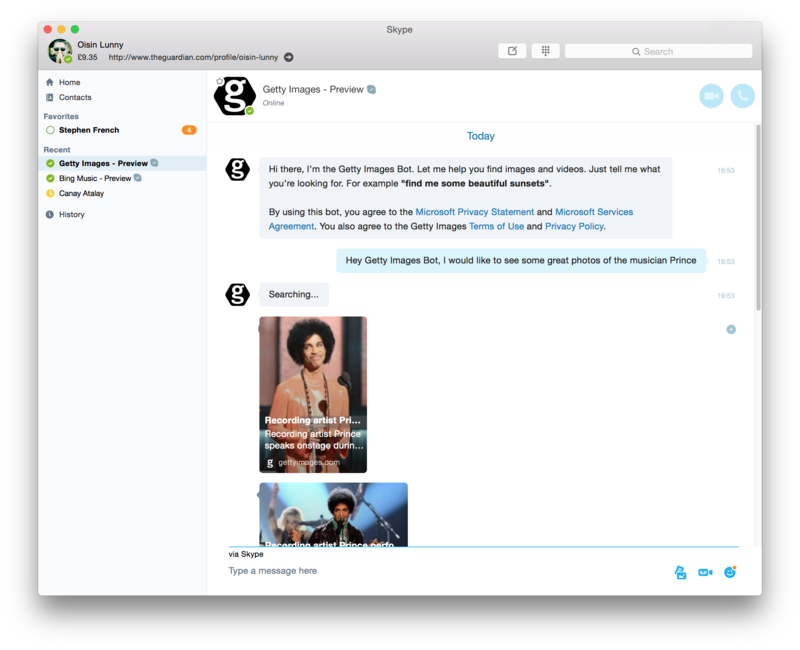 So how can chat bots bridge this ever-widening gap? As now illustrated by the strategy of our tech giants, the answer lies in technology that has been around even longer than chat bots: mobile messaging. Take for example Dubai Airport. I was recently traveling back from Kerala and had a stopover for a few hours in Dubai. Everywhere from the bathroom walls to food court tabletops was plastered with posters promoting the official Dubai Airport app. I have no doubt that it’s wonderful, but am I really going to give valuable smartphone real estate to an airport I’m only going to visit once every few years? It would have been much more convenient to have been able to text the airport’s number with any questions, such as “Where can I find Lebanese vegetarian food in the airport” or “Is flight EK009 still on time?” To send and receive these kinds of valuable messages, you simply don’t need to hassle with finding a Wi-Fi network and registering an app. 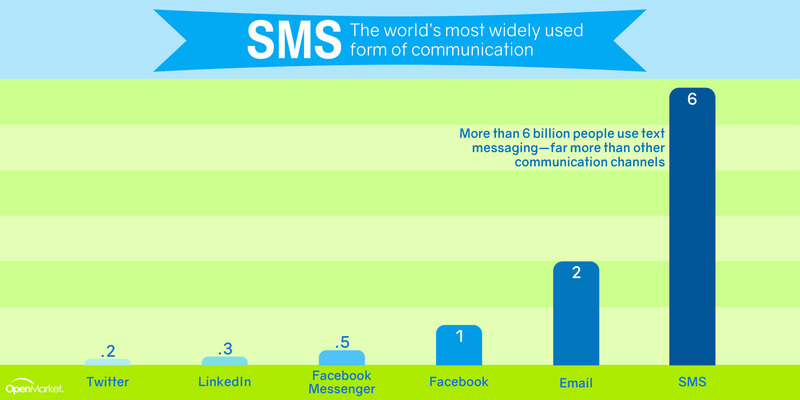 The mobile messaging channel is already built into every phone on the planet, and it can connect brands with over six billion people instantly. This channel is, of course, SMS or text messaging. Combining AI-powered bots with the global reach and reliability of text messaging is an elegant and highly scalable solution for enterprise mobile engagement in our soon-to-be post-app economy. Millennials, in particular, have measurably wider respect for brands that offer exchanges over SMS. So in today’s world of mobile-first brand interactions, convenience is king. Mobile-savvy consumers will tolerate nothing less than a frictionless and highly personalized experience. The engagement channel that offers the most personalization with the least resistance will win consumers’ hearts, minds, and wallets. This channel is SMS, and it’s ready to go in over six billion pockets today. To find out more about OpenMarket’s suite of global mobile messaging solutions visitwww.openmarket.com. Oisin is part of the Market Development team at OpenMarket, looking at new verticals and strategic business and technology opportunities for the company. OpenMarket provide mobile engagement solutions for global Fortune 1000 companies. Oisin’s background of over 21 years in technology and media includes roles as UK Managing Director for the world’s largest social space for teens, and Global Product Manager for Media Services at Europe’s largest network operator. Oisin speaks and moderates at conferences globally, maintaining a parallel profile as film composer, producer, and DJ. Oisin sits on advisory boards for The Economist Big Think and Finnay, and chairs the Fundraising Online advisory panel. Oisin has spoken at over 100 conferences, contributes to The Guardian, B2B Marketing and Tech City News and is LinkedIn’s UK’s Top 5 most engaged marketer 2015. Oisin Lunny is an experienced public speaker, conference host and moderator who has spoken at over 100 conferences globally. Interviews and thought leadership have included CNN Business News, The Observer, BBC Radio One, Channel 4, BBC Click Online, Tech Week Europe, Mobile Marketing, TV3, Billboard, Hot Press, Rolling Stone, EGR, iGaming, SBC News, Irish Post, New Media Age, NME, B2B Marketing, RTE Radio One, Telemedia News, Record Of The Day, Fundraising Magazine, Insider Trends and Internet Retailing. Oisin also writes about mobile technology for Digital Doughnut and The Guardian.